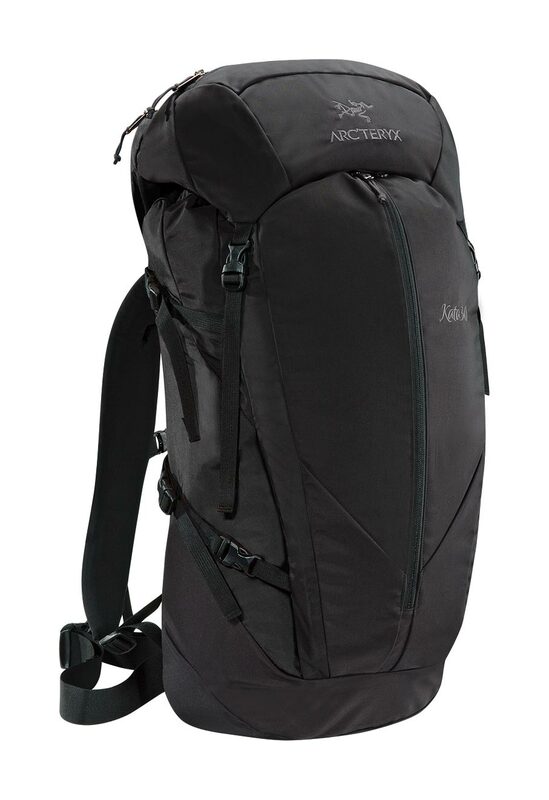 Arcteryx Black Kata 30 - New | Arc'teryx Women Online Sale! Ski Touring / All Around / Alpine Climbing / Hiking / Trekking The Kata 30 provides volumes of usable function in a resourcefully small package. Stow necessary items quickly in the voluminous front kangaroo pocket or access the large top lid pocket. The anatomical suspension with thermoformed backpanel and dual density shoulder straps brings high comfort to this compact load. The P'ax axe attachment allows for one-handed access to tools.